The new game in the Star Wars universe will be telling about dark times, but Star Wars Jedi: Fallen Order is a new hope for fans of this universe. We already have a trailer and we got to know the first details about the new production. Both views of the Star Wars Battlefront series of the DICE studio are, apart from all this confusion with lootboxes , quite successful network shootings. Unfortunately, since Electronic Arts took over the rights to the Star Wars brand, a few years have passed, and after the productions, which would put the story in the center, the hearing was lost . A short campaign in Star Wars Battlefront 2 only sharpened the appetite. We are waiting for the spiritual successors of Shadows of the Empire, Jedi Knight: Jedi Outcast and Knights of the Old Republic. In addition, we heard about several deleted projects, although some promised to be phenomenal . And here comes Star Wars Jedi: Fallen Order , all dark. During the EA Play 2018 event, held on the eve of the E3 Fair in Los Angeles, Star Wars Battlefront 2 artists appeared on the stage. They apologized to the fans for the mistakes and announced new products that were supposed to restore DICE production to the right track - and it is worth noting that their promises they realized . After this presentation, it was the turn of a real bomb, or the first preview of a completely new game in the Star Wars universe from the creators of the Titanfall series. We only learned then that it would be a title embedded in the plot between the third and fourth episode of the cycle, but it was enough for me to start sharpening my teeth. After a year we got the first Star Wars Jedi trailer: Fallen Order. There is now a multi-day Star Wars Celebration event in Chicago. Fans are flooded with new information about their beloved saga. On Friday, the teaser of the 9th Star Wars episode titled The Rise of the Skywalker debuted, and on Saturday we received a lot of information about the new video game from Respawn Entertainment . Developers have already reported that there will be neither multiplayer nor micro-transaction mode. 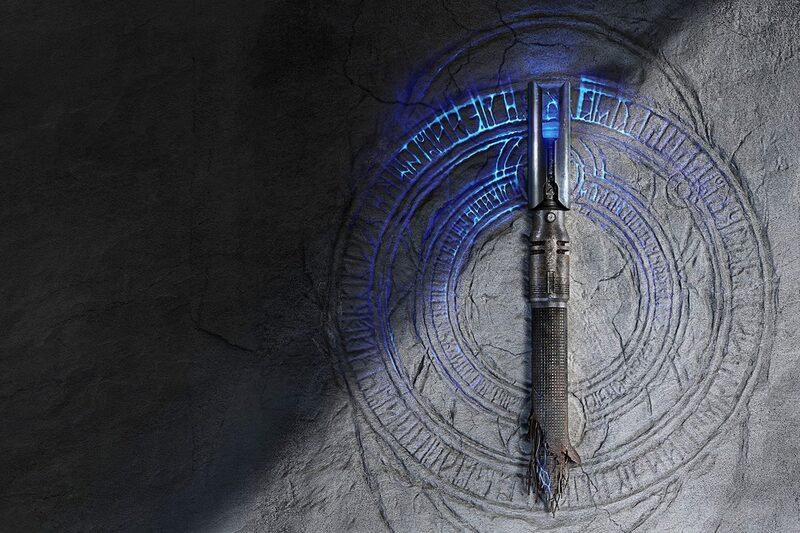 Star Wars Jedi: Fallen Order is a one-player experience (action-adventure, TPP). The release date circulated around the network was also confirmed - the game will debut on November 15, 2019. We finally met the main character of the new Star Wars game, which is Cal Ketsis. The game was set in a plot shortly after the Sith Revenge. In the distant galaxy, order finally came. These are dark times, times of the Empire. The Jedi who guarded democracy for generations were destroyed, and the Emperor's henchmen hunt for the last representatives of the title Order. The main character of the game is one of the Padawans who survived the Purge after the Emperor issued the infamous Order 66. He hides on the Bracca planet, where he works as a scrap collector. Together with the team, it dismantles cruisers, which were used in the Clone Wars. From the trailer, you can deduce that Cal will use the Force at some point to save his companion from death. Probably this is what will draw the Emperor's eyes on him, who will send his Inquisitors under the guidance of the Second Sister and Purge the Trooper to hunt for him. For this reason, the young boy will have to escape and visit a lot of new planets and visit those that fans know well. 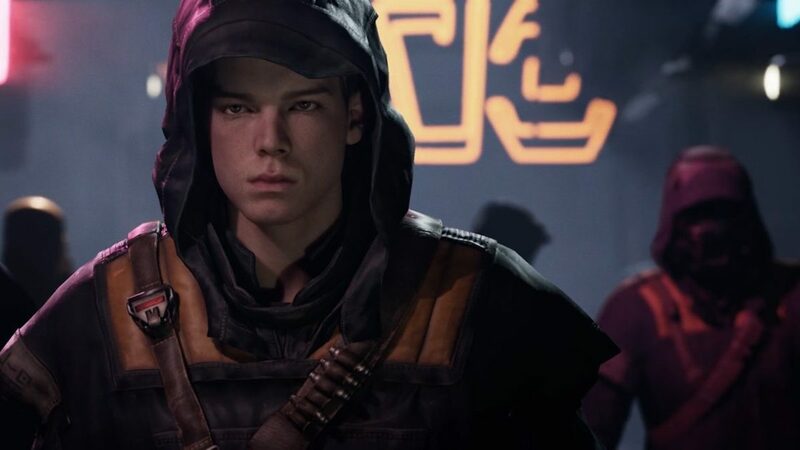 In the main character of Star Wars Jedi: Fallen Order portrayed Cameron Monaghan, known for the role of Joker in the series Gotham. He lent his protagonist not only the voice but also the face. The game will also include his mechanical companion, the BD-1 aka Buddy droid. It will be possible to improve it - just like the Cala lightsaber. The game trailer that received the Polish title of Star Wars Jedi: The Fallen Order, unfortunately, did not show us any fragments of the game. The material was prepared on the game engine, but all scenes were directed for the needs of the announcement. We also know that the game is based on the fight against next bosses a la Dark Souls, and ordinary stormtroopers are supposed to fall from one blow. The game should be both accessible to amateurs and be a challenge for the stagers. Interestingly, although Star Wars Jedi: Fallen Order is supposed to have a realistic graphic design, the inspiration for the creators was to be in this area series Star Wars: Rebels. I am extremely curious about the effect. At the moment, however, I am so, because Respawn Entertainment has a huge loan of trust with me after the premiere of Apex Legends .